Dan Park was sales manager for WIRE, Indianapolis and a co- founder of the Indianapolis Motor Speedway Radio Network. Dwight Eisenhower appointed him director of the National Highway Safety Council, and he also served as president of the Indiana Traffic Safety Council. 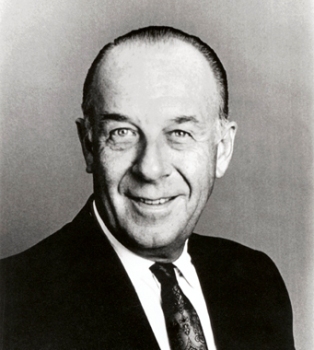 Park was instrumental in the formation of a professional organization for broadcasters in Indiana. His guidance, personal attention, dedication, and drive helped the Indiana Broadcasters Association grow and expand in its early years. He also served two terms as the Association’s president. Park recognized the need for a radio news network to serve Indiana Broadcasters Association members, and assisted in its early formation.